The Lincoln Rotary Club #14 Foundation was founded in 1997, as part of a long range strategy to build an endowment to support charitable projects, both locally and around the world. 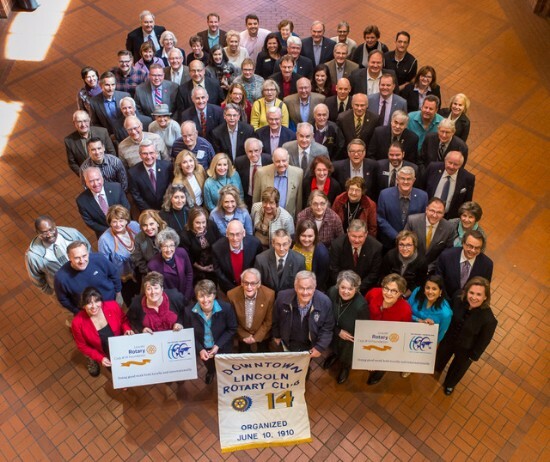 More than 200 club members have pledged financial support of the foundation and they have enabled the organization to exceed its goal of reaching a level of more than $1 Million by the year 2010, the 100th anniversary of Rotary Club #14. New goals have now been set to take the organization to an even greater level by the year 2020. Our vision is to build an endowment that can make a meaningful difference in our community, our country and our Rotary world. Celebrating the Lincoln Rotary Club #14 Foundation’s 20th Anniversary are Lincoln Rotary Club #14 members who have made a significant gift or long-term financial pledge to the foundation.